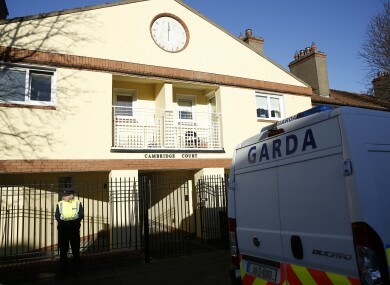 ONE OF TWO siblings on trial accused of the murder of a 63-year-old man told gardaí in an interview that her brother could be “extremely violent” and “very evil” at times, a jury has heard. Kenneth Cummins (28) and Sabrina Cummins (37), with an address at Ringsend Park, Dublin 4, have both pleaded not guilty to murdering Thomas Horan (63) at Cambridge Court, Ringsend on 6 January last year. Prosecution counsel Mr Garret Baker BL yesterday called Detective Garda David Wogan, who is attached to Donnybrook Garda Station to give evidence. Mr Baker told the court Det Gda Wogan arrested Sabrina Cummins on 8 January 2014 for the suspected murder of Thomas Horan. Counsel for the State told the jury there were five interviews in total conducted with Ms Cummins beginning on 8 January 2014 and Det Gda Wogan was involved in the first four of these. Reading from the first statement given by Ms Cummins, the barrister told the jury that Ms Cummins asked Thomas Horan for a lend of money when she arrived at his bedsit with her brother Kenneth on 6 January. “I’ve borrowed money off Tom so many times, I know him very well. Tom had met Kenneth on one occasion when we lived in Ranelagh. I rang Tom from my phone and asked him was it ok to come down to his house for a while,” Ms Cummins told gardaí. I went with my 12 cans of Budweiser. When I would fight with my partner I would regularly go down to Tom’s. In Ms Cummins second statement to gardaí she told them her brother Kenneth could “be very evil at times”. In this statement Ms Cummins said she knew Mr Horan since she was 18 years of age and he was like a father to her because her own father was not around. “I met Tom through my sister Breda in Ranelagh who is now deceased. He was always very good to me and I use to stay with him a lot,” Ms Cummins told gardaí. In the third interview taken by Det Gda Wogan on 9 January 2014 the court heard Ms Cummins and Mr Horan “never fought”. “He was very good hearted, helpful and did everything for me. He never would lose his temper with me, he never had any reason to,” Ms Cummins told gardai. No I wouldn’t do anything like that to anyone, the only person I was violent to was the scumbag who killed my sister. The final interview conducted by Det Gda Wogan with the co-accused was on 9 January 2014. “It was me and my brother, things got out of hand and it shouldn’t have. I’m terrified of going to jail. Kenneth can be extremely violent, it just got out of hand. “I lost the head as well, I pulled Tom by the hair and gave him a punch, I kicked him in the leg and told him to shut his mouth or Kenny would kill him. It’s a horrible thing to do and it went wrong, I’m so sorry, it’s a horrible accident,” she told gardaí. I hurt Tom and I’m sorry. We killed Tom. I had a part with the belt, a part with the plastic bag and a part with the bottle and I’m sorry. The court heard Ms Cummins told Thomas Horan that Kenneth was a taxi driver in order to get €50 from him. “Tom said he didn’t have any more money. Tom told Kenneth to leave and he wouldn’t,” said Ms Cummins to gardaí. In the statement, the court heard Ms Cummins put her hands around Tom’s neck. Gardaí asked Ms Cummins did Kenneth hold Tom’s arm when she poured the liquid into Tom’s mouth? “Yes. I attacked Tom in his right side with a fork,” said Ms Cummins. When asked by gardai what led to this if Tom was a friend? Ms Cummins replied saying her brother Kenneth said Tom had said stuff about her sister Breda. In the fifth and final interview with Garda Ger Mullins on 9 January 2014, the court heard that Ms Cummins had been fostered three times from the ages of 14 to 18. She also told gardaí the whole attack on the deceased lasted between an hour and an hour and half. “I’m not proud of what happened, I’m sure you know Tom was good to me,” said Ms Cummins to gardaí. Defence counsel for Ms Cummins, Mr Blaise O’Carroll SC cross examined Det Gda Wogan and put it to him that if his client had “scarpered”, the gardaí would have faced a completely different situation. “I can’t comment,” said Det Gda Wogan. The guard went on to say that Ms Cummins had given them a lot of specific details about the crime and what Kenneth had done. “She seemed very eager to tell us what Kenneth had done, in no way suggesting she was involved herself. In Ms Cummins’ first three interviews she made herself out to be an injured party. Ms Cummins clearly had an agenda for the first three interviews,” he said. Earlier in the trial, the court heard a transcript of a call made by Kenneth Cummins while in prison to another man. “You landed yourself in hot water this time. The fella you killed how did your man die?” the recipient of the call asked the accused. “I beat him to death, yeah strangled him and smothered him and everything,” replied Mr Cummins. “You’re fucked so,” replied Mr Carl Cullen. The court heard Mr Cullen then asked Mr Cummins if it was true he had forced him to drink white spirits as he had read it in The Sunday World newspaper. “Yeah my sister did yeah,” replied the accused. “They said to me I could be 36 when I get out and I’m only 26 now. Waste of a life man,” said Mr Cummins. Mr Cullen then asked Mr Cummins if his sister had much to do with it? “No” said Mr Cummins. “You should try and take blame for it and try to get your sister off,” said Mr Cullen. Another day, the jury heard that Cummins told gardaí he was prepared to use violence to rob €2,000 from the 63-year-old man but not kill him. Email “Murder trial of brother and sister hears horrific details of attack with white spirits, belt and plastic bag”. Feedback on “Murder trial of brother and sister hears horrific details of attack with white spirits, belt and plastic bag”.